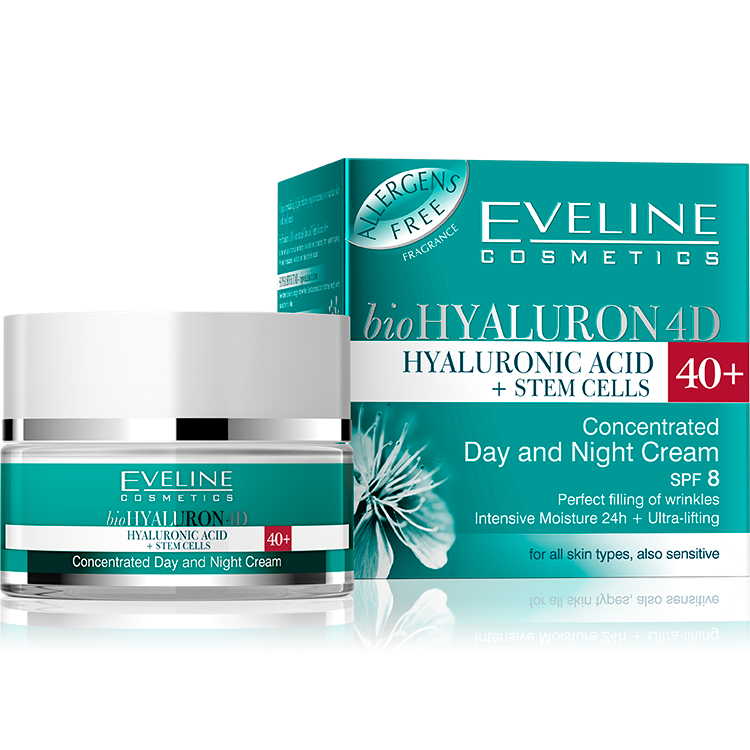 bioHyaluron 4D Concentrated Day and Night Cream 40+ is the innovative formula reinforcing skin cells and protecting them against ageing. Perfectly moisturizes, revitalizes and makes the skin radiant. New dimension in the struggle with wrinkles. Spectacular reduction of number, length, width and depth of wrinkles. Triple dose of hyaluronic acid in the exceptional combination of 3 sizes of particles ensures innovative rejuvenating effects and action on the surface as well as deep into the skin. Plant stem cells, naturally obtained from Swiss apple, extensively used in cosmetology to improve vitality and longevity. Stimulate natural processes of regeneration, supply with necessary energy.